The President’s proposed budget for FY 2018 would provide a total of $259 million for the Pipeline and Hazardous Materials Safety Administration (PHMSA), including $154.3 million to fund pipeline safety programs. The proposal reflects a reduction of $2 million from FY 2017 and an increase of $8 million over FY 2016. Up to $132 million would be funded by user fees, including $8 million to be derived from the Underground Natural Gas Storage Facility Safety Account of the Pipeline Safety Fund which was created by section 12 of the Protecting Our Infrastructure of Pipelines and Enhancing Safety Act (PIPES) Act of 2016 to fund federal and state oversight activities at underground natural gas storage facilities. The budget proposes $55.5 million to fund PHMSA’s hazardous materials safety programs. On June 6 and 7, PHMSA’s Gas Pipeline Advisory Committee (GPAC) will meet to continue its discussion of PHMSA’s notice of proposed rulemaking that would extensively modify federal pipeline safety regulations applicable to gas transmission and gathering pipelines. GPAC will discuss the following topics: corrosion control, records, integrity management, strengthened assessment requirements, pipeline assessments outside of high consequence areas, repair criteria, material documentation, and the integrity verification process for grandfathered segments. Register for the meeting here. Van Ness Feldman has prepared a redline of PHMSA’s regulations reflecting recent revisions adopted in PHMSA’s Final Rule issued January 23, 2017, and PHMSA’s Excess Flow Valve Final Rule issued October 14, 2016. Please contact Susan Olenchuk or Bryn Karaus for a complimentary copy. Senators Gary Peters and Debbie Stabenow introduce legislation addressing the safety of pipelines near the Great Lakes. U.S. Senators Gary Peters (D-MI) and Debbie Stabenow (D-MI) introduced legislation affecting pipelines located in and around the Great Lakes. The bills impose more stringent liability standards on pipelines crossing the Great Lakes, expand PHMSA’s authority to shut down unsafe oil pipelines, require review of oil spill response plans by the U.S. Coast Guard and Environmental Protection Agency, require the public posting of oil spill response plans, and create a Center for Expertise in the Great Lakes region to study freshwater oil spills. GAO identifies areas for improvement at DOT. On May 18, the Government Accountability Office (GAO) issued a report to the House of Representatives’ Committee on Transportation and Infrastructure examining how well the Department of Transportation’s (DOT) organizational structure enables DOT to address transportation challenges. Challenges identified include developing regulations in an effective and timely manner (noting the delay in PHMSA’s rulemaking regarding unregulated gathering lines, identified in a 2014 GAO report), and the ability to effectively and proactively address emerging issues to account for technological advancements, climate change, and intermodal issues. The report recommends operational improvements but does not suggest organizational changes. Recommendations include enhancing collaboration and coordination with internal and external stakeholders, improving data quality and analytics, improving rulemaking by seeking information from stakeholders earlier in the process, and focusing on how to better address technological advancements. PHMSA Rulemakings Update Is Unchanged. The tables below summarize the status of PHMSA’s rulemakings as reported in the Department of Transportation’s (DOT) December Significant Rulemaking Report, and by the OMB’s Office of Information and Regulatory Affairs (OIRA) in the Fall 2016 Unified Regulatory Agenda. DOT has not released a Significant Rulemaking Report since December because rulemakings are subject to evaluation in accordance with Executive Orders 13771 and 13777. Advanced copy released January 13; withdrawn from publication in the Federal Register on January 24, 2017. States First releases guidance on underground gas storage. States First, a working group organized by the Interstate Oil and Gas Compact Commission and Ground Water Protection Council, released a guide to underground storage of natural gas and liquid petroleum gas. Intended to serve as a resource for regulatory agencies, the guide evaluates potential vulnerabilities at gas storage operations and identifies possible regulatory responses for consideration by state and federal agencies. 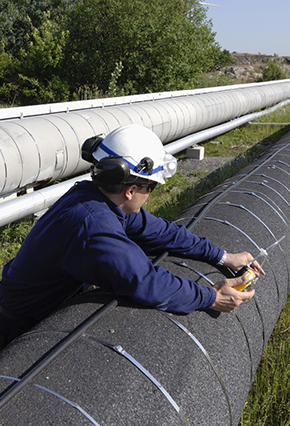 Harvard researchers assess underground natural gas storage vulnerabilities. On May 24, a team of researchers from Harvard University published a study identifying underground natural gas storage wells for the purpose of assessing regulatory data availability and uncertainty and for performing an initial assessment of design deficiencies. The report contends that wells not originally designed for gas storage are likely to have design-related deficiencies prone to serving as a single-point-of-failure. On May 19, the Department of Conservation proposed new requirements for underground gas storage which would be more stringent than PHMSA’s interim final rule which took effect January 18. The proposed regulations would impose construction standards and an integrity testing regime, and would require operators to provide risk management planning and project data to the Department. The proposed changes are meant to ensure that no single-point-of-failure poses an immediate threat of loss of control of fluids. Comments are due July 13. Under amended regulations effective on May 1, 2017, the Office of the State Fire Marshall shall approve requests for a 30-day extension of time for intrastate hazardous liquid pipeline operators to file their Form PSD-101 Annual Reports if, by June 1, the operator has submitted a written request showing good cause to the Pipeline Safety Division Office. The Colorado Oil & Gas Conservation Commission (COGCC) has posted updated procedures, guidance, and frequently asked questions relating to its May 2 notice requiring all operators to take steps to verify the safety and integrity of flowlines and to ensure that any flowline not in use is properly abandoned. By May 30, operators must inspect their inventory of flowlines and pipelines located within 1,000 feet of a building and provide the location data to the COGCC, and inspect all existing flowlines to verify that any flowline that is not in active use is properly abandoned and clearly marked, capped, and sealed. By June 30, operators must ensure that all flowlines within 1,000 feet of a building have integrity, and must abandon all inactive flowlines and pipelines. HB 17-1372 (Foote and Lebsock). This bill would require each operator to give electronic notice of the location of each flow, gathering, or transmission line installed, owned, or operated by the operator to the COGCC and each local government within whose jurisdiction the subsurface facility is located. The COGCC is directed to establish rules that specify deadlines for submission; require operators to identify whether the subsurface facility is active, shut in, or abandoned; and require operators to make affirmative efforts to locate their subsurface facilities. The COGCC must post the information online in a searchable database. In addition, the bill would require operators to provide, if requested by a local government, an estimate of the number of wells anticipated to be drilled in the next five years within the local government’s jurisdiction and a map showing the location of existing wells and facilities and future development sites. SF 2376 (Dibble) and HF 2537 (Hansen). These bills would require pipeline owners to remove abandoned pipelines and ancillary infrastructure and equipment from a landowner’s land upon written request, with the pipeline owner responsible for all reasonable costs of land restoration. Alternatively, the bill would allow a landowner to opt to have the abandoned pipeline left in place. The pipeline owner would comply with all federal abandonment requirements, and the landowner would assume all future liabilities associated with the pipeline and any other infrastructure except for future monitoring and inspection costs. The bills would also require the submission of a pipeline abandonment plan for approval by the Commissioner of Public Safety prior to the abandonment of any pipeline. The bills establish the development process for and required content of the abandonment plans. On May 5, New Mexico’s Oil Conservation Division issued a Notice to Oil and Gas Operators on oilfield gathering lines. The Notice states that gathering lines include the term oilfield flowlines, which includes any pipes installed underground or above ground to transport oilfield gases and liquids of any type. The Notice also provides general instructions for gathering lines, including: (1) maintaining an inventory of all gathering lines on leases owed by an operator; (2) disconnecting and flushing lines associated with inactive wells; (3) disconnecting, flushing, capping, and abandoning lines associated with wells that are plugged and abandoned; (4) immediately disconnecting any cut or disturbed line from the gas or liquid source; and (5) inspecting and pressure testing all gathering lines within ¼ mile of occupied structures initially and at least once every five years. On May 17, the Ohio Department of Commerce, Division of State Fire Marshal, proposed to update its regulations regarding the management of underground storage tanks. In addition to clarifying existing requirements, the proposals would bring the Division’s regulations into alignment with changes to the federal Environmental Protection Agency requirements at 40 C.F.R. Part 280 which became effective in 2015. Comments on the proposed rules are due June 20.